A lot of folks these days have transferred to some sort of music streaming service like Pandora, Spotify, Google Play Music, or Apple Music. However, there are those of us left that hang on to our collection of media because streaming isn’t quite good enough yet. 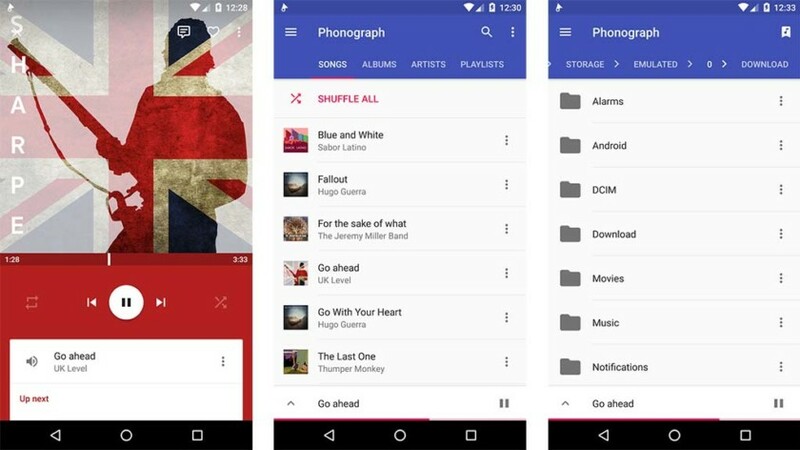 If you have your own music collection and the stock music player isn’t doing it for you, then here are our picks for the best music player apps on Android! Please note, if you’re looking for something that plays local music and also streams music, your best bet is Google Play Music. You can also check out some other excellent music apps on other platforms here! Those with LG V-series smartphones should probably use Neutron, LG’s stock music player, or UAPP. They simply work better with the LG V-series amp/DAC combination. 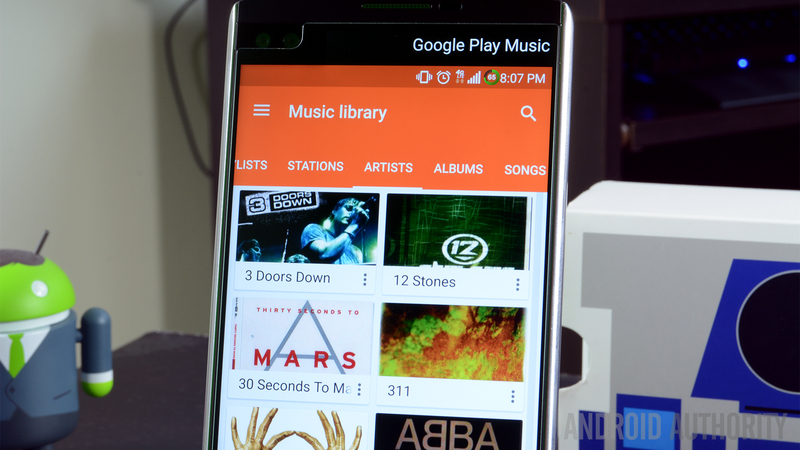 Finally, here is our list of recommendations for music players on Android Auto! Looking for more music player and video player options? Try these! AIMP is a fairly powerful mobile music app. It supports most common music file types, including mainstays like FLAC, MP3, MP4, and others. You also get a host of customization options, theming, and other fun stuff like that. The app has a simple UI and we had no problems getting around and listening to music. It keeps it simple with a decent Material Design interface. We also appreciated its outstanding equalizer, HTTP live streaming, and volume normalization. It's definitely a step up from most basic music player apps. There is also a desktop version in case you want to kill two birds with a single app. BlackPlayer is a simple, but elegant music player that puts very little between you and your music. It operates on a tab structure and you can customize the tabs to use only the ones that you actually want. On top of that, it has an equalizer, widgets, scrobbling, an ID3 tag editor, no ads, themes, and support for most commonly used music files. It’s delightfully simple and a fantastic option for fans of minimalism. The free version is a little bare bones with the paid version providing far more features. It's one of the music player apps worth trying. jetAudio is a long time favorite of Android users because it has enough features to be better than most, but still simple enough for everyone to use. This one features a variety of audio enhancements that come as plugins so you can tweak your music experience a little more than usual. On top of that, it comes with an equalizer (complete with 32 presets), simple effects like bass boost, a tag editor, widgets, and even MIDI playback. The free and paid versions are virtually identical. The paid version just removes advertising and adds themes. MediaMonkey is a bit of a dark horse in the music player apps business. It has a ton of features, including organizational features for things like audiobooks, podcasts, and the ability to sort songs by things like composer (instead of just artist). It also has basic stuff like an equalizer. What makes MediaMonkey a truly unique music player is the ability to sync your music library from your computer to your phone (and back) over WiFi. It’s a bit complicated set up, but it’s virtually a one-of-a-kind feature. The interface is simple and the app is an overall solid option. We also like its desktop app for music as well. Musicolet is a no-BS music player app. It has a lot of desirable features, including many that you don' often associate with music player apps. That includes a truly offline experience, a lightweight UI, and small APK size. Additionally, the app features multiple queues (another rarity), an equalizer, a tag editor, support for embedded lyrics, widgets, folder browsing, and more. Its no nonsense approach is refreshing. This is a great option for people who just want a music player that plays music without a ton of extra stuff. It's also completely free with no in-app purchases and, because of its lack of Internet access, no advertising. You're halfway done! Check out these awesome apps! Neutron Music Player is another music app that isn’t nearly as popular as it probably should be. It features a 32/64-bit audio rendering engine that is (according to the developers) independent of the Android OS. The idea is that it helps music sound better. It also has a lot of other features, including support for more unique file types (flac, MPC, etc), a built-in equalizer, and a host of other audiophile specific features. It’s a bit expensive, but many swear by it as their go-to music player app. 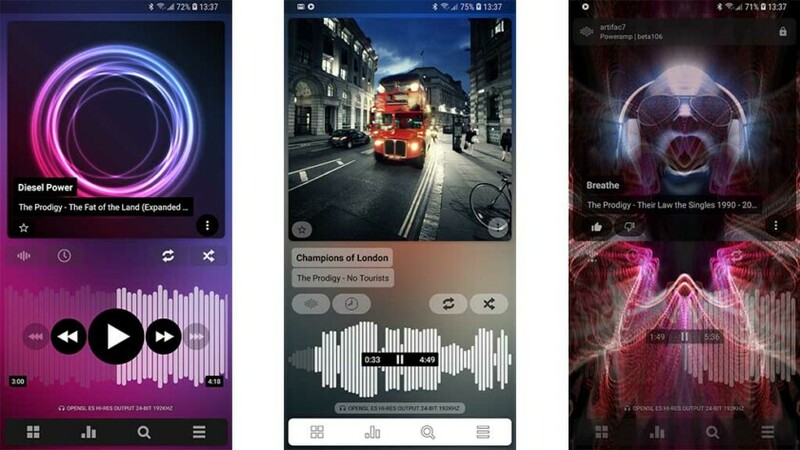 Phonograph is one of the newer music player apps. It bills itself as being simple. lightweight, and easy to use. In most cases, it succeeds. It features a classic, simple Material Design UI. It's quick to move through as needed. You can also change the theme if you want, but the theme editor isn't especially powerful. Along with that, you'll get Last.fm integration, a tag editor, playlist features, a home screen widget, and some other navigation features. It's very simple and a great option for those who just want to listen to their music without anything getting in the way. It's a music player worth trying. PlayerPro Music Player is another lesser-known music app that should be getting a little more traffic. It features a good looking interface that makes everything easy to use along with skins that you can download and install for more customization. 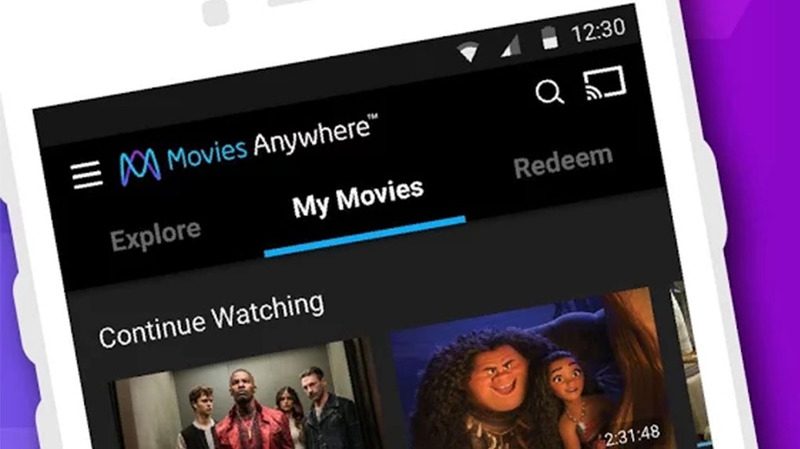 You'll also get support for playing video, a rare ten band equalizer, Android Auto and Chromecast support, various audio effects, widgets, and some fun little features like the ability to shake the phone to get it to change tracks. It even supports Hi-Fi music (up to 32-bit, 384kHz). You can demo the app for free before forking out the $4.99. 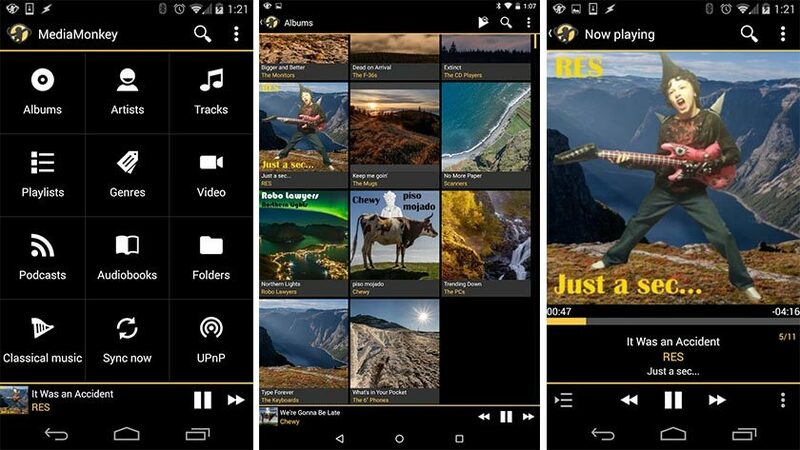 Poweramp has long been one of the go-to music player apps choices for a lot of Android users. It has a sleek interface with themes that you can download from the Google Play Store. The interface can be too clever for its own good sometimes. It's effective and efficient, though. There are also themes to make it look how you want. It includes many playback features, including gapless playback, crossfade, and it has support for several types of playlists. You’ll also find widgets, tag editing, and more customization settings. It’s a powerful player that seems to strike the right chord with almost everyone. It does have the occasional hiccup, though, like almost all apps do. Puslar is definitely one of the best music player apps availab eright now. 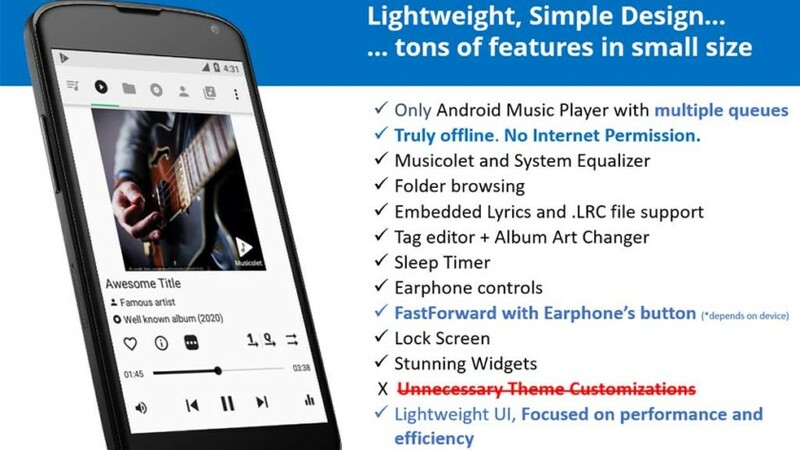 The features include beautifully done Material Design, tag editing, gapless playback, smart playlists, a sleep timer, and Last.fm scrobbling. Puslar also has Chromecast support, which is awesome. It’s not as feature heavy as some of the paid options, but that doesn't necessarily mean that it's bad. It's a great option for those looking for something minimal, lightweight, and good looking. This one also works decently well with Android Auto, if that helps. The pro version is inexpensive as well. Thank you for reading our list of music player apps! Here are a couple more app lists! If we missed any of the best music player apps for Android, tell us about them in the comments! This is an update of a previously written article, so check the comments for some suggestions from our readers! You can also click here to check out our latest Android app and game lists!